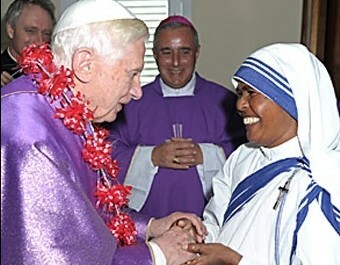 Pope Benedict meets with Sr. Teresa Kereketa in Santiago de Cuba. Photo courtesy of L'Osservatore Romano. Santiago de Cuba, Mar 27, 2012 / 08:59 pm (CNA).- After beginning his day on Tuesday with a private Mass in Santiago de Cuba, Pope Benedict XVI met a religious sister from India who has been his “spiritual Godmother” for 20 years. 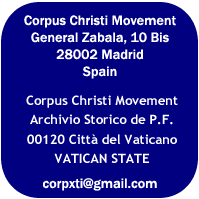 The Pope celebrated the private Mass during his historic March 26-28 visit to the country before departing for the Sanctuary of Our Lady of Charity of Cobre. 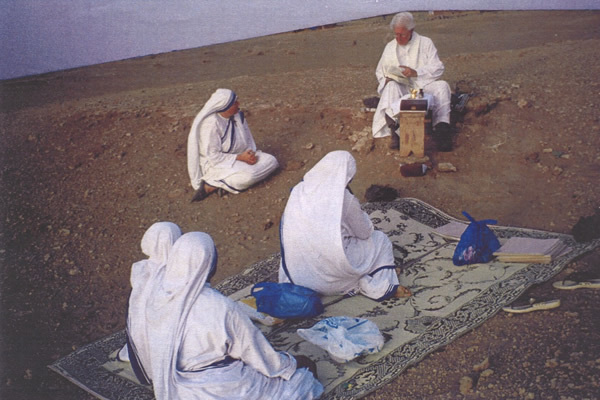 The service was attended by 10 religious sisters from the contemplative branch of the Missionaries of Charity, which was founded by Blessed Teresa of Calcutta. When the Mass ended, Cuban Archbishop Dionisio García, presented Sister Teresa Kereketa to the Pope. Following the practice of her order, 20 years ago she received the task of praying daily for a specific priest, thus becoming his “spiritual Godmother.” The priest whom she was assigned was Cardinal Josef Ratzinger. During the emotional encounter, and following an Indian tradition, the sister presented a crown of flowers to Pope Benedict. “The Pope was quite moved meeting her,” said Vatican spokesman, Father Federico Lombardi, during a press conference.